There was to be no respite from battle for the First Corps, now under command of Gen. Richard Anderson. For the first time in the Eastern Theater, the Union Army under Grant would go forward after a major battle and keep the initiative for the rest of the war. The First Corps was pulled out of the Wilderness line Saturday evening, May 7, 1864, and immediately dispatched south, cross-country, to head off Grant’s army towards Spotsylvania Court House. 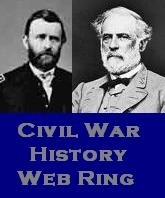 Hill’s [now commanded by Jubal Early] and Ewell’s corps were to follow them. They marched all night along the southern fringe of the tangled woods, Kershaw’s Division with Humphreys’ Brigade, in the lead. They crossed the Po River at Corbin’s Bridge and turned east to Block House, crossing the Po again at the Block House Bridge and then pausing for an hour to cook rations and eat. Then they marched back north to the Brock Road where they expected to meet a four-division federal corps leading the Union army down the road to Spotsylvania in a new Yankee race to Richmond. Gen. Fitz Lee’s cavalry brigade had been dispatched ahead of the First Corps, with instructions to hold the federals, if possible, until Anderson’s troops could arrive. The corps was screened on its flanks and at its head by other elements of Gen. J.E.B. Stuart’s cavalry. Half of Kershaw’s division split off and marched southeast to the court house, the other half, including Humphreys’ Brigade and the 13th Regiment (whittled down by now to not many more than a hundred men), turned northwest to meet the advancing federals on the morning of May 8. They were just in time. “Anderson started two brigades (Henagan’s South Carolina brigade and Humphreys’ Mississippi brigade) for the Brock Road at once, to be followed by the rest of the corps,” according to a U.S. Army study. They faced Gen. Gouverneur K. Warren’s Fifth Corps of New York, Pennsylvania, Massachusetts, Michigan, Maryland, and regular U.S. Army troops. These Union troops were tired and dusty after marching all night without stopping for food. Kershaw soon called back the brigades he’d sent to Spotsylvania Court House and, together, all four of his brigades anchored the left of the new Confederate line. Their first attack was beaten back with heavy loss. Nevertheless, the Yankees were beaten back again. Soon, both sides were massing and intrenching, only about 400 yards apart. It was by now 10:30 a.m. The Union would not try another piecemeal assault until 6:30 p.m. and it also would be driven back. There were no more assaults but firing continued all night, keeping everyone awake. And so it went, in a contest of futile and increasingly Yankee attacks against outnumbered but intrenched Confederates that generally resulted in slaughtered Yankees and much sharpshooting from both sides, and it went on for six days. The 13th Regiment, which apparently took few assaults after the initial one on May 8, lost seven men wounded and captured: four from the Alamutcha Infantry, and one each from the Newton Rifles, the Lauderdale Zouaves, and the Pettus Guards. By now the regiment probably numbered less than one hundred men available for any fighting. Union forces, however, did report their casualties from Spotsylvania, which amounted to 18,396. This entry was posted in Battles: Spotsylvania, Humpreys Mississippi Brigade and tagged 13th Mississippi Infantry Regiment, Battle of Spotsylvania Court House 1864. Bookmark the permalink. across the fields upon the concealed Mississippians. had actually thrown his leg over the rail to mount. went back to his post, supposing him dead. cigars together after dinner, and continued their conversation. Division,” he replied. “Can you be the man? Have I struck you at last?” cried the ex-Confederate. doubly valuable by so strange a history.